Each year the number of motorcycle accidents continues to grow in Massachusetts and Rhode Island. The number one cause of these, along with car accidents, pedestrian accidents, and bicycle accidents is distracted driving. Staying aware and riding defensively are great ways to decrease your chances of being hit while your out on your bike. Stay alert. Being alert (not sleepy or under the influence) allows you to react quickly to potential problems — like when the driver in the car ahead slams on the brakes at the last minute. Riding while drowsy can have the same effect as driving under the influence of drugs or alcohol and is one of the leading causes of crashes. So rest up before your road trip. Be aware of your surroundings. Check your mirrors frequently and scan conditions ahead of you. Keep your eyes moving. If a vehicle is showing signs of aggressive driving, slow down or pull over to avoid it. Also, always keep an eye out for pedestrians, bicyclists, and pets along the road. Keep your speed down. Posted speed limits apply to ideal conditions. It’s your responsibility to ensure that your speed matches conditions. In addition, higher speeds make controlling your bike that much more difficult if things go wrong. Beware of Distracted Drivers. More than ever, people are paying less attention to the road while driving, and too much attention on others things like their phones, eating, etc.. The best defense against this is to be super aware and cautious in your own situation, and to look out for errant drivers before they can impact you. 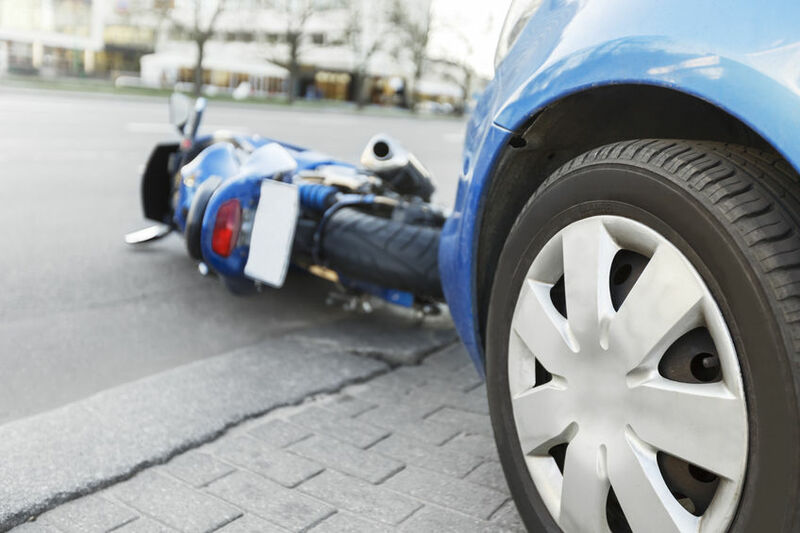 If you or a loved one have been the victim of any type of a motorcycle accident due to a distracted driver’s negligence, contact us to speak one of our experienced attorneys. We’ll help you to get the settlement that you deserve to help you and your family to move on after your accident.